I first stumbled upon one of Lindsey Duncan’s stories by accident, published in one of those fantasy ezines. I read it and immediately fell in love. I wanted to read more; I wanted to express my admiration to the writer. So I Googled her name, found more of her stories and I also found her website: www.lindseyduncan.com. That’s how I learned that she is a professional musician. We’ve exchanged a few emails and kept in touch since then. But now that Lindsey’s contemporary fantasy novel Flow has been released from Double Dragon Publishing, I thought it was high time I got to know her a little better. She was gracious enough to sit down for an interview so we could do just that. Tell me about your novel Flow. How the idea appeared? Is it a YA novel? 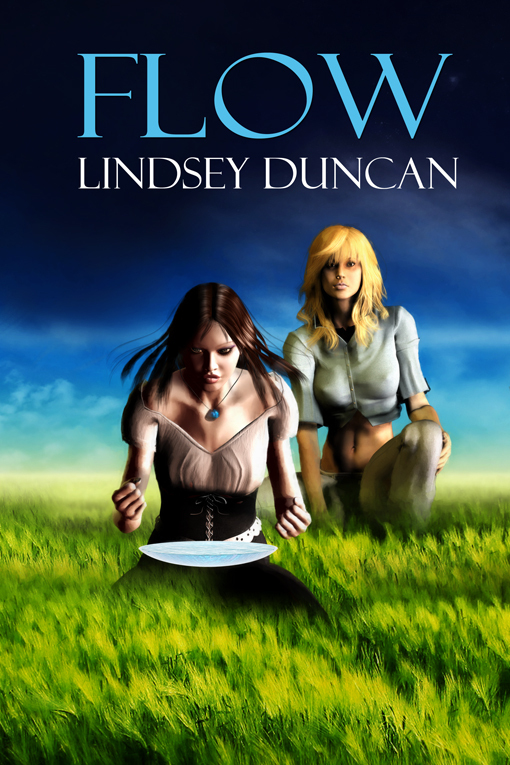 LD: Flow follows the water-witch Chailyn, on dry land for her first mission, and Kit, a contemporary teen with mysterious powers, as they seek the man who killed Kit’s mother ... a goal which catches the interest of the darkest of fairies. They must also deal with the Borderwatch, a zealous organization that hunts fairies and has been in a cold war with the water-witches for decades. The concept for Flow began as a vehicle for the three protagonists – Kit and Chailyn (the point of view characters) and Hadrian, who ends up being their accomplice / sidekick. All three had made appearances in separate role-playing games that were very short-lived. I wasn’t done with them; they needed new lives. In pondering what would bring Kit and Chailyn together, I came up with the novel’s core plot problem. I also knew that I wanted to involve fairies, so the next step was research into fairy legends to decide how I wanted them to look and act. The story came together from there. Though Kit is a teenager (fifteen, in fact), and Flow is shorter than some conventional fantasy novels, I don’t consider it a YA novel. Apart from some cursing (and I understand that is acceptable in most YA nowadays), there’s nothing that makes it inappropriate for teens, but it isn’t geared towards or intended for them, either. There’s some coming of age element to the novel, but I think that’s a universal theme. You have written and published many short stories. Did you know right away that Flow would be a novel? LD: I am a novelist first – short stories were something I came to later. When I was looking for a home for these characters, story-wise, a full novel was the first thing that came to mind. Did you have any say about the cover art for your novel? Is it close to your vision? LD: When it came to designing the cover, my editor asked if I had a particular scene or image that I wanted to see, and I went straight for the scrying pool scene in the second chapter. Deron Douglas was the cover artist. I really like his portrayal of Kit in the background – it’s a neat image of her. Do you plan another novel in the same world? Could there be a series? LD: Right now, I have no firm plans to write another novel in the setting, but I do have a few ideas as to where Kit, Chailyn and Hadrian might be headed – and now that I’m a more ambitious writer, I would like to try writing from Hadrian’s perspective. His senses are incredibly acute, so that involves a lot of descriptive detail and at times, detail overload – writing something that is overwhelming to the character while still being clear to the reader. So it is possible there might be a sequel at some point. Tell me about yourself. Are you a full-time writer? How/when did you start writing? What drives you to write? LD: I am not a full-time writer, but I have been fortunate in that the work I do is flexible and allows me free time and – more importantly – time to multi-task. I find my brain works best that way. I started writing very young. I cannot remember a time when I wasn’t composing stories of some kind – even when it involved rainbow sheep. (I remember the rainbow sheep with a vivid fondness.) I am driven to write because my head is always working overtime, generating new ideas, coming up with new places to go – and I can’t stand to leave them all unrealized. Why do you write fantasy? What inspires new stories? Her Majesty’s Revenge and Customs (Her Majesty’s Revenue and Customs) or, Left at the alter (left at the altar) … which suggests something about shapeshifter marriage traditions. But the single thought on its own usually isn’t a story for me. It’s when it meets with something else that the fireworks happen. You’re a professional musician. How/why does one move from music to writing? LD: Music has been a part of my life for as long as writing has. I have always played an instrument, though it wasn’t until I discovered the harp that I truly felt like a musician. To me, both music and writing are outlets for creative energy, but they’re not mutually exclusive – one doesn’t exhaust me for the other. They occupy different creative spaces. If you could have one magical talent, what would it be? LD: I am endlessly fascinated with powers related to knowledge – whether it be speaking to the dead (see Voices for another take on this) or reading the history of objects. In particular, I am drawn to seers and the ability to see the future. Can the future be altered, if you know what’s coming? Or is it set in stone? Either way, how do you deal with it? How does it change the way you interact with the world? That said, I am not sure I would want to be able to see the future myself, considering that most of my stories have a rather negative take on it. If I had to pick something right now, shapeshifting is another motif that has always intrigued me, whether into animal forms or variant human shapes. I have to add the caveat that I want the sort of shapeshifting where knowing how to use the form comes with the power! 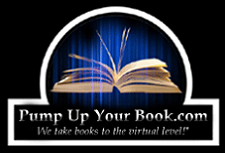 How did you research your novel? Do you think fantasy writers need to research at all? LD: For Flow, I did some research into fairy legends and a few spot pieces of research on Virginia law – to figure out how old Kit would need to be to have a learner’s permit, for instance. I also recall that I had to look up a few other things, though I don’t remember specifics any more. First is inspiration. History, religion, mythology, politics and even geography can be great sources for story ideas. Truth can be more intriguing than fiction … or may serve as a jumping-off point. What if this mistaken early scientific belief – such as phrenology, the mapping of personality by the shape / bumps of the head – was true? What kind of society would that create? Second is verisimilitude. You can put your rivers anywhere you want … but those familiar with geography will look at you askance if your river perfectly bisects the continent, and those who know history and the importance of rivers will expect to see major cities along that thoroughfare. None of this means you can’t change the rules via magic, the will of the gods or other method – but you need to know where you’re making changes to justify them. I call this verisimilitude rather than accuracy because it’s a matter of internal consistency and reasoning. The rules for a setting can be as bizarre as you want, as long as they make sense within themselves. Studying history, philosophy and politics can give you a good understanding of base causes, the better to take your own world in a different direction. As a reader, do you have a favorite book/writer? A favorite genre? LD: I am, not surprisingly, a fantasy reader. Some of my favorite writers include Jasper Fforde, whose Thursday Next series is excellent for anyone who is a fan of any kind of literature; Dave Duncan (no relation) whose Children of Dodec duology embodies Theresa Nielsen Hayden’s, “Plot is a literary convention. Story is a force of nature.”; and Jane Lindskold, whose Firekeeper novels – while very much traditional medieval-style fantasy – have some of the best realized characters I’ve encountered. In the contemporary / urban field, I simply adore Laura Resnick, whose Esther Diamond novels are wonderful. Howl-out-loud-doesn’t-matter-if-you’re-in-public awesome, while still being tense and emotional. I also love mystery novels, and am a big fan of Ellis Peters’ Brother Cadfael novels. They are written in a very particular poetic style – deliberately paced and attentive to detail, without being ponderous or overwrought. What is the greatest challenge for you as a writer? What is the greatest challenge for you as a musician? LD: I think my greatest challenge as a writer is making sure that all the pieces are there – that I’ve put on paper all the relevant facts that I see in my head. Because my writing process involves a lot of incubation and backburner thinking, I may sometimes omit things that I already “know” are there. As a musician, I would have to say my greatest challenge is – still, after over a decade of performing – stage fright. I get trembling nerves when performing solo, more often than not. This applies to stage sets and other venues where the attention is focused on me – I no longer get nerves in background jobs, though that took years. All right, to answer that more seriously and in a little more detail, I can and have taken short breaks from writing, particularly when the rest of my life is hectic, but after a time, the withdrawal symptoms set in. I always come back to it. Have you ever written fan fiction? Would you welcome fan fiction set in your world? LD: I spent more years than I want to think about in Pern fandom, and I also spent a little time on a Wheel of Time MUSH (Multi-User Shared Hallucination – a text-based online role-playing game). In both these cases, however, while the setting was the author’s, all the characters were original … which is exactly what I wanted. I cannot imagine writing someone else’s characters. To me, characters are too personal and unique to the author. And this would probably be my stance towards fan fiction, as well. I would be flattered and delighted if someone wanted to write in my world(s), but I would be deeply uncomfortable with others writing my characters. Do you create outline first and stick with it or do you improvise as you write? LD: I do not outline for novels – I have a general sense of the flow (ahem) of the story, and sometime I will jot down specific points I’m aiming towards, but never something as formal as an outline. When I do create structure, it’s because the story needs it for some reason. For instance, I worked on a novel project that was epistolary – two characters exchanging letters. It was fairly important that their respective plotlines progress at a similar pace, so I wrote a sentence or two to summarize each letter. I think it would be stretching it to call this an outline, though. For short stories, I tend to structure a bit more, though it isn’t always written down. I have a clear idea of the scenes, the plot arc, obstacles and how they will be solved, and so forth. I don’t start writing until I have a roadmap. This is due to the above-mentioned problem with keeping short stories short – I’m a novelist at heart, and I enjoy (prefer) the space to explore. In November of 2012, you attended World Fantasy Convention in Toronto, with the theme of Northern Gothic and Urban Fantasy. What are your impressions? LD: This was my fourth WFC, so you would think the shine would have worn off, but it never does – and this year was different, because I had subtly shifted into the category of published author. I both felt as if I belonged in a way I hadn’t before and felt more awed because I better understood the length of the road the panelists had walked. Many of the panels discussed the collision of the fantastic and the real, and the rules applied to both realms. The author and editor comments were both thoughtful and practical, exploring the psychological depths and the nuts-and-bolts necessities of world-building. Changelings, Wanderers (with a capital W), maps, music as a fictional device, and stories that themselves involved books, to name a few – a great variety of panels. The conference occurred right after Hurricane Sandy, so the frightening power of that force influenced some of the topics. What I found more enlightening than I had expected were the interview panels with the authors and artists. I picked up some sage advice from Mercedes Lackey (including to check out Save the Cat! by Blake Snyder) and found myself heartened to hear that Tanya Huff has experiences much like mine when writing, where she will suddenly have an epiphany on a story and go back to alter the previous pages, only to find that her subconscious had been planning it all along. It was also fascinating to hear how the creative process worked for digital artists and painters. I had the opportunity to read from Flow as part of the BroadUniverse Rapidfire Reading (http://www.broaduniverse.org) – a chance for everyone involved to read what turned out to be a ten minute segment. I was very nervous and probably read at double-time despite my best intentions, but the “Broads” were warm and friendly – and some of them were great theatric readers. The audience filled the small room, which considering we had a Saturday evening slot was a feat. 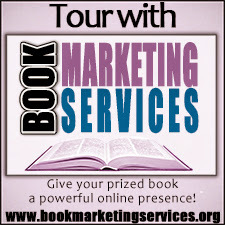 Good fiction, good company, and giveaways with chocolate. What more could you ask for as a near-finale to a wonderful conference? About the Interviewer: Olga Godim is a writer and journalist from Vancouver, Canada. Her articles appear regularly in local newspapers, but her passion is fiction. 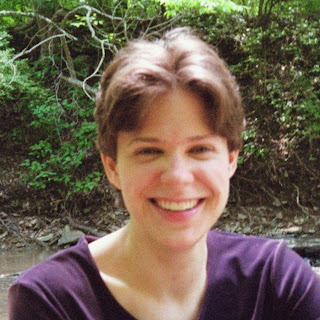 Her short stories have been published in several internet magazines, including Lorelei Signal, Sorcerous Signals, Aoife’s Kiss, Silver Blade, and other publications. In her free time, she writes novels, collects toy monkeys, and posts book reviews on GoodReads. Her first novel, Lost and Found in Russia, has just been released from Eternal Press.